Cluster Fly Smoke Bombs and Foggers from £5.79! 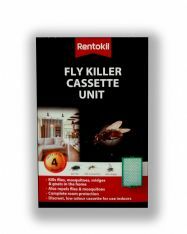 Fumigation with smoke bombs or foggers is the fastest method of dealing with a cluster fly infestation. Fumigation is a vital component in any strategy dealing with cluster flies and rapid knockdown is key. 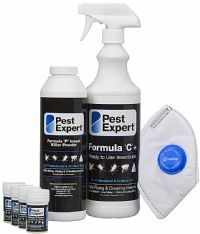 As a result, our pest control experts have worked tirelessly to delivery to the amateur market the best in fumigation the industry has to offer. 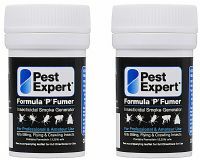 Our Pest Expert Formula ‘P’ Cluster Fly Smoke Bombs and Formula ‘P’ Foggers represent the best and strongest insecticides available to the amateur pest controller. 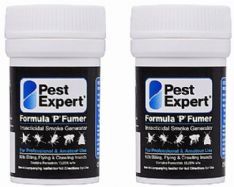 Cluster Fly Smoke Bombs will quickly fill an enclosed space with a heavily-saturated permethrin smoke. 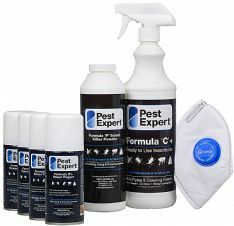 This powerful insecticide will work its way around your room or loft space killing all cluster flies present at time of treatment, giving you a clean slate to work from using residual insecticides. Firstly there is no fire hazard as they do not require a naked flame to light. 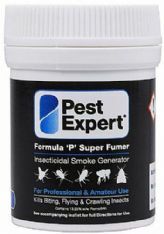 Secondly, the potent insecticide contained within the Foggers is 100% natural pyrethrum. Both these cluster fly fumigation products are equally effective and come in varying sizes to ensure that you have adequate coverage and exceptional results no matter the size of the treatment area.